Corynactis viridis usually forms dense colonies of many specimens on rocks. Although the meaning of its latin name (viridis) is green, the colour of the specimens is very variable, green, orange, red, etc. Corynactis viridis is type species of the genus Corynactis and belongs to the order Corallimorpharia (not to order Actiniaria). It occurs in Mediterranean Sea and around west Europe. 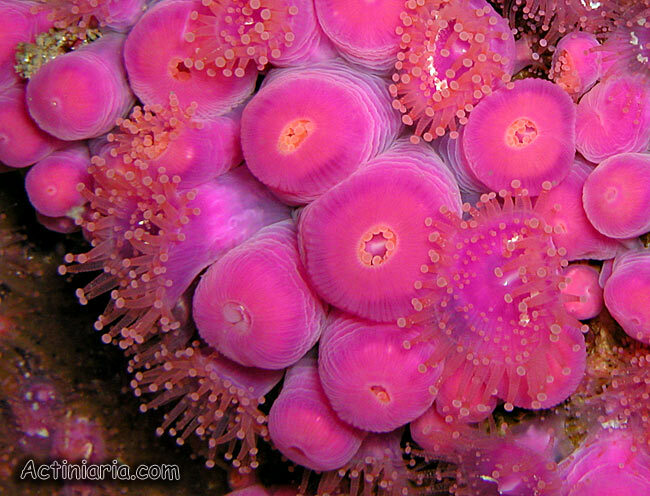 Corynactis carnea is a similar species from South America.